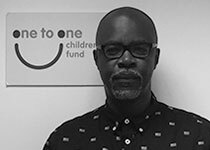 David is the co-founder of One to One Children’s Fund and the Chair of the Board of Trustees. David qualified as a Chartered Account in South Africa, before transferring to the UK in 1977 to become Treasurer of Marks & Spencer plc. Alongside his venture finance interests, David embarked on a career as a social entrepreneur some 25 years ago. He was Chairman of the Refusenik organisation and then co-founded the One to One Project with Rita Eker MBE, which led to the formation of One to One Children’s Fund in 2001, with a mission to relieve the suffering of vulnerable children, wherever there is no government or other support. This led to the development of our HIV/AIDS support and treatment programmes in South Africa, trauma counselling programmes and day care centres in Kosovo and Israeli/Palestinian resilience building initiatives in the Middle East. 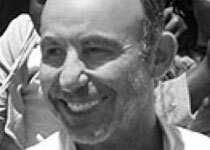 David is also the co-founder and Chairman of Paediatric AIDS Treatment for Africa (PATA), a network organisation of more than 400 HIV clinics across Africa, sharing best practice and treating more than 100,000 children born with HIV. David received the Prime Minister's Points of Light award in 2017 in recognition for his outstanding volunteer work benefitting thousands of vulnerable woman and children. He has also received the WIZO Commitment Award for Entrepreneurship in 2013 for his endeavours in the non-profit sector. She has a legal background, with a particular interest in international and human rights law, and has a JD from Queen's University (Canada), as well as an LLM in Human Rights Law from the University of Cape Town. 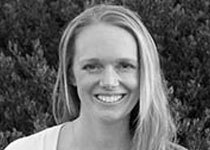 Originally from Halifax, Canada, Julia has lived in South Africa since 2010, where she enjoys the more favourable climate and exploring this beautiful and fascinating country.